If someone was tasked with writing about the Top Ten things to do in Ojai, California, let’s hope they have a diligent (or understanding) editor….because you can’t stop at 10. This beautiful valley city, located about 90 miles north of LA and just 30 miles from Santa Barbara, is a bundle of charm, rolled up in a mix of culture and arts and displayed in a setting so scenic and serene, your Instagram posts will be nonstop! So, we won’t stop at 10 or 15, but just show you some highlights to send you on your way to discover all there is to see and do in Ojai. 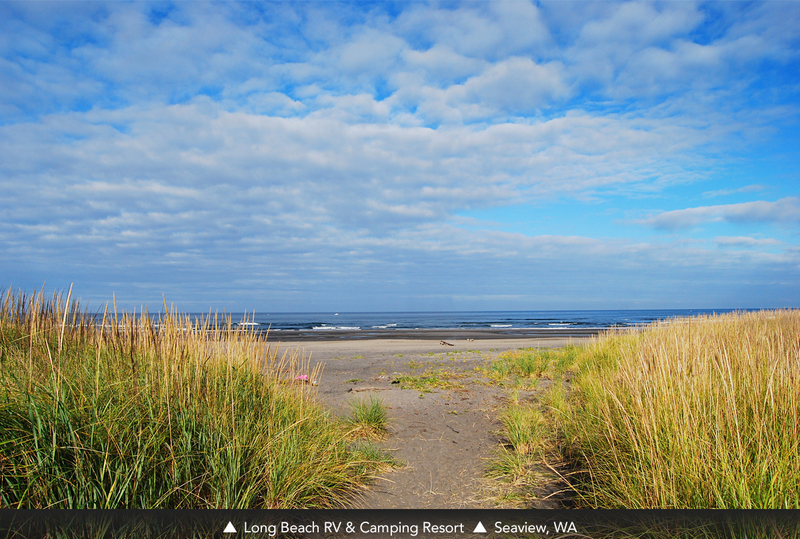 The first thing you will notice is the surrounding countryside. There are citrus groves, vineyards, and the Los Padres National Forest. 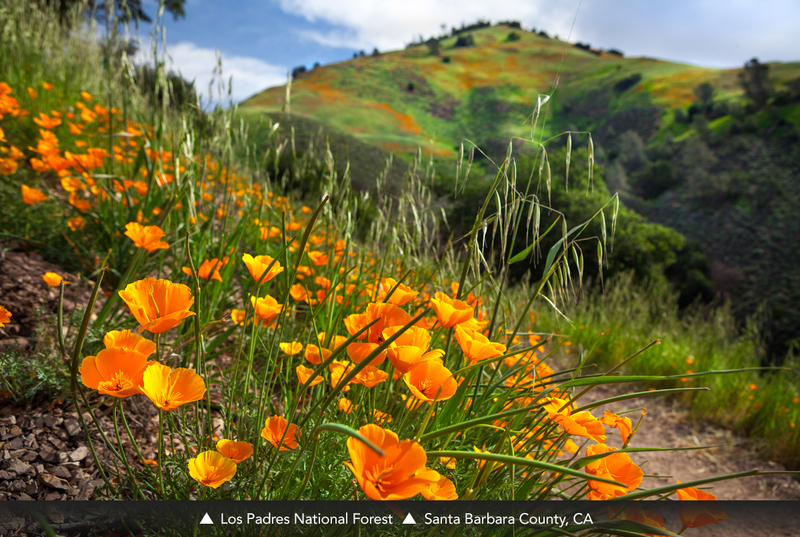 Filled with wildflowers, wildlife, hiking and biking trails and beaches, Los Padres is a wonderland for wanderers. 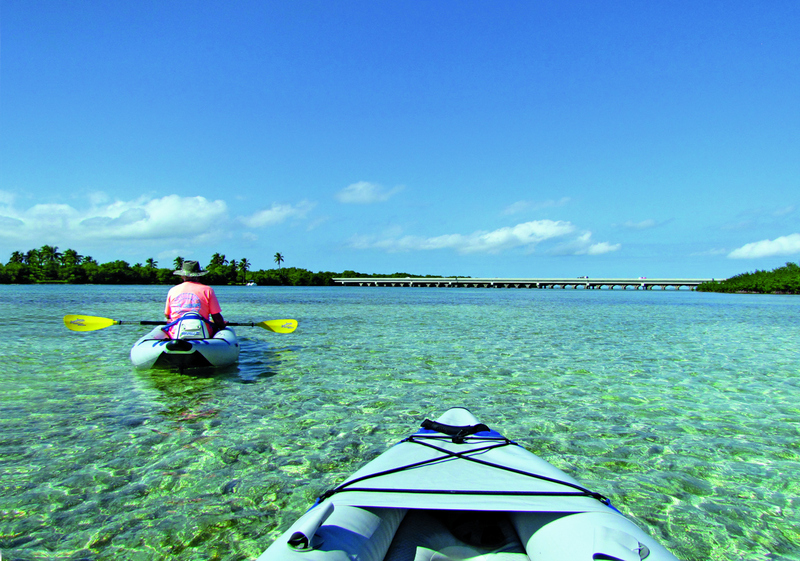 You can also choose to fish, horseback ride or enjoy a lazy picnic with nature as a side dish! Enjoy a tour of an olive grove at the Ojai Olive Oil Company (www.ojaioliveoil.com) or sample some of the wines at the various wineries located in and around Ojai (visit www.ojaivisitors.com for a listing of wineries). If your visit to Ojai begins after June 1, definitely stop by Frog Creek Farm (www.frogcreekfarmojai.com) to enjoy the lavender and also mark your calendar for the Ojai Valley Lavender Festival, scheduled for Saturday, June 29, at Libbey Park. In town, you want to make sure you visit the Ojai Certified Farmers Market for locally grown fresh fruits and vegetables, as well as meats and seafood, honey, jams, soaps, and candles. The Market is open every Sunday, rain or shine, from 9 a.m. to 1 p.m. For a list of fruits and veggies in season, visit www.ojaicertifiedfarmersmarket.com. Also, you can’t miss Libbey Park, which is located in the center of the town and contains walking paths, a fountain, a bandstand, Libbey Bowl, a renowned concert venue, and of course tennis courts as it plays host annually to the oldest amateur tennis tournament in the US, “the Ojai,” in late April. The park will also host Art in the Park, an annual event since 1977, allowing local artists the opportunity to showcase and sell their work. This year’s event is scheduled for May 25. Just one week later on June 1, the park hosts the 2019 Ojai Blues Fest, followed by the Ojai Musical Festival, a four-day event featuring classical music that will run June 6-9. 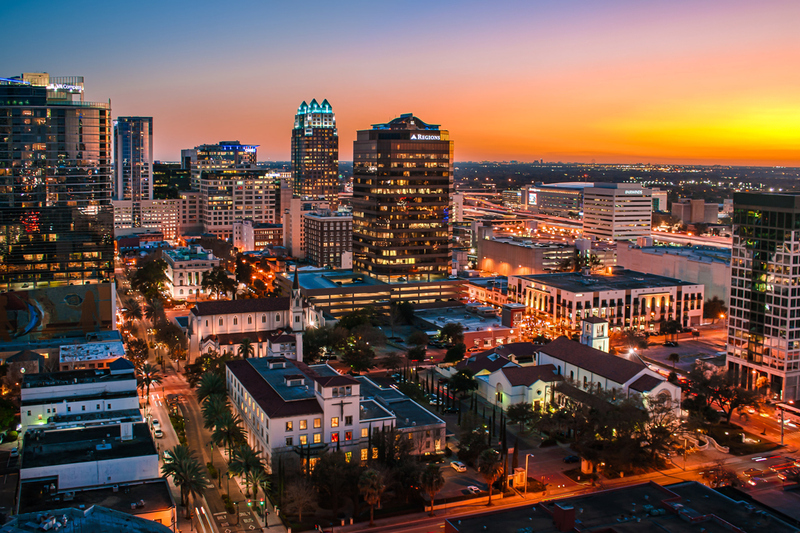 There are also plenty of dining options from gourmet to farm-to-table and shopping possibilities include clothing boutiques, antiques, jewelry stores, and trinket shops, art galleries and of course Bart’s Books. Bart’s is the largest independently owned and operated indoor/outdoor bookstore in the US. The store’s collection of more than 1 million books overflows to freestanding bookcases outside the store, which are paid for by customers on the honor system! Inside, visitors will also find rare, first editions and specialty art books. And, when your perfect day, or days, in Ojai are coming to a close, don’t miss the “pink” sunset where, thanks to a combination of the mountains, the valley, the sun’s location, etc., the sky takes on a pink glow at dusk that can only be described as indescribable! 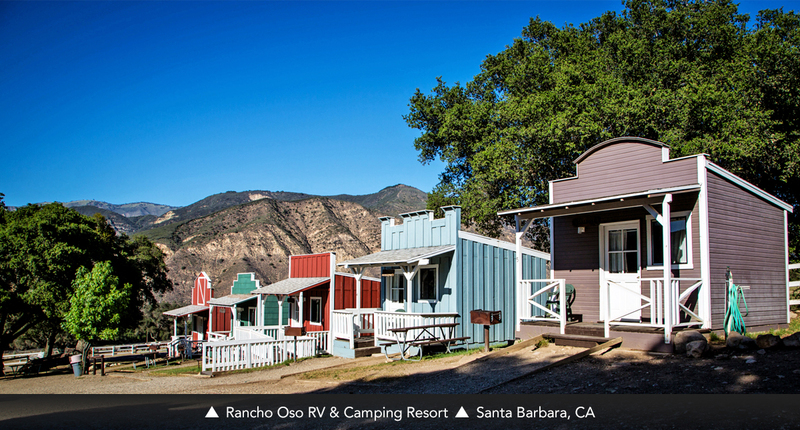 If you want to make your own To-Do in Ojai list, consider a stay at Rancho Oso, in Santa Barbara and book one our unique Petite Retreats. Check out www.PetiteRetreats.com to see what options are available to make your home base while exploring nearby Ojai. Movie Locations Near Petite Retreats! From old Hollywood westerns to horror films, many movies are filmed on location. 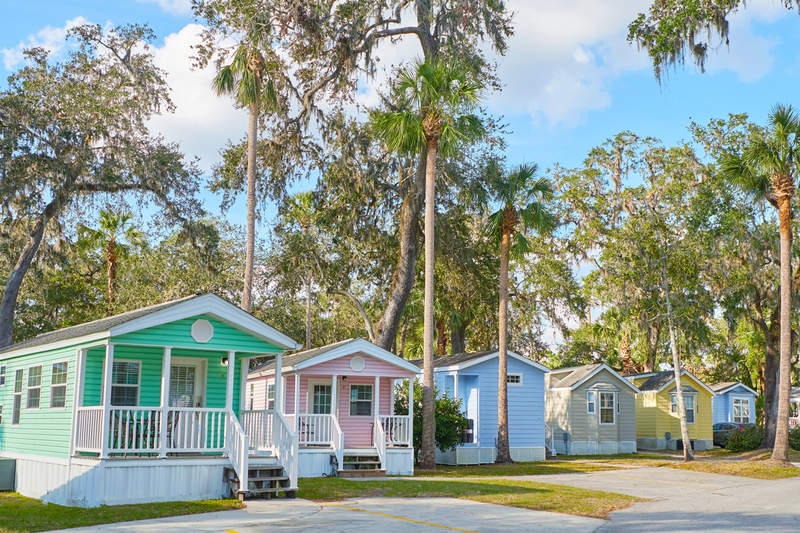 For your next stay at a Petite Retreat, check out some iconic locations of some of your favorite films. There are many more than this list, so share with us your favorite places to visit that are the backdrop to some of Hollywood’s most famous scenes in the comments! Founded by a group of Hollywood investors in the mid-1940s, Pioneertown was built to be a movie set worth visiting. Over 50 movies were filmed here including ones that starred some of its founders like Gene Autry and Roy Rogers, but it also had things for visitors to do like bowling alleys, saloons, and ice cream parlors. While movies aren’t filmed here anymore, Pioneertown sees plenty of visitors each year who come to catch mock-gun fights, see live music at world-famous Pappy & Harriet’s, and get a taste of what the old west was like. Or perhaps even, what the old Hollywood version of the old west was like! 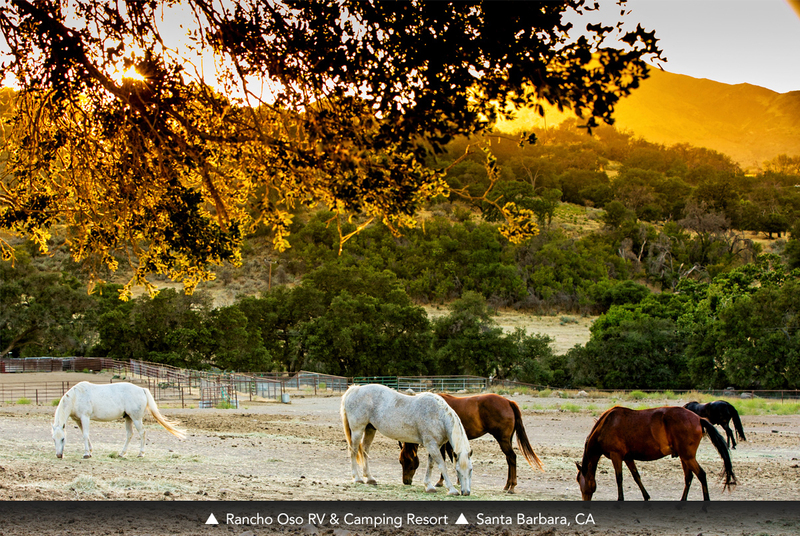 Pioneertown is about a 45 to 60-minute drive from Palm Springs RV Resort. 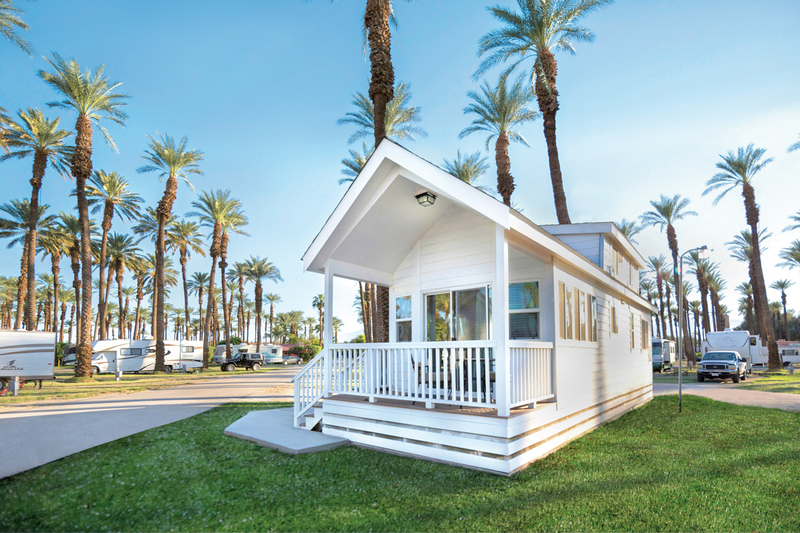 Visit the Colorful Cottages at Palm Springs RV Resort. If you’ve seen the movie, Rocky, or even if you haven’t, you know the iconic training montage of Rocky Balboa as he runs up the 72 stone steps that lead to the Philadelphia Art Museum. He reaches the top and throws his fists in the air and he is ready to enter the boxing match that will change his life forever. You too can huff and puff your way up the steps to the museum and remember to take a photo when you get to the top – the view of the City of Brotherly Love from the museum is spectacular. 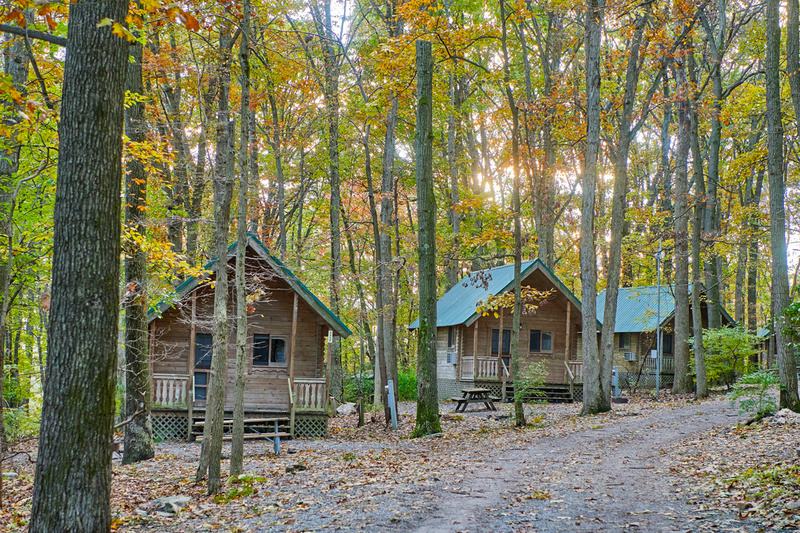 Spring Gulch RV Campground is about an hour drive to Philadelphia, PA. This cult classic film starring Bette Midler, Sarah Jessica Parker, and Kathy Najimy may have debuted over 25 years ago, but the film is still beloved by so many. Every year, lovers of this classic Halloween film head to Salem to visit some of the main haunts of the film. 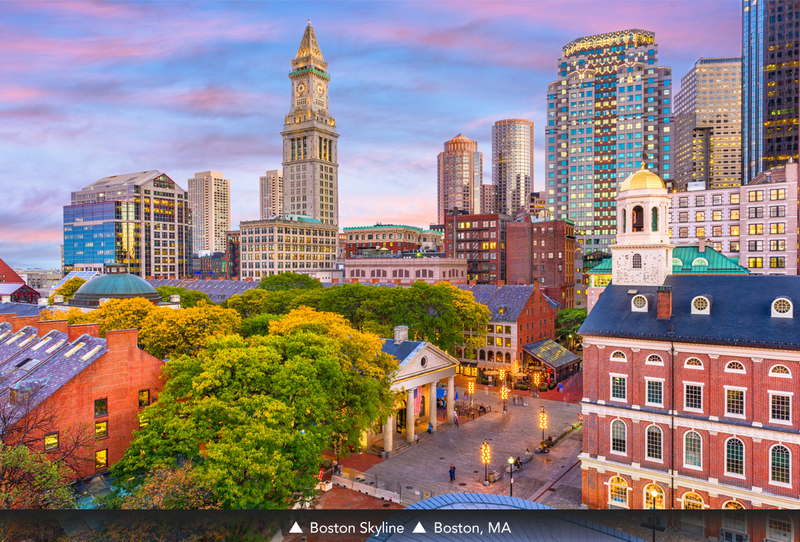 Visit the Old Town Hall on Essex Street where the Halloween party scene takes place; or Salem Common, where many of the outdoor scenes were filmed and is also where Hocus Pocus is screened every year in October! 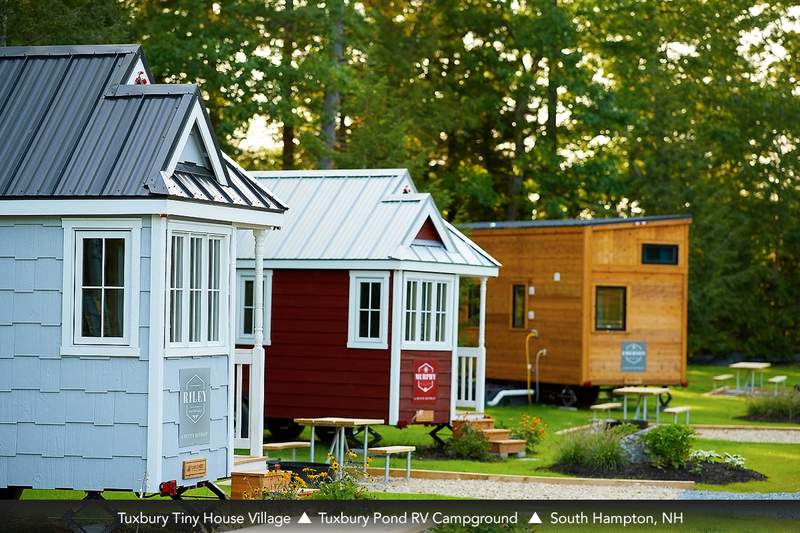 Tuxbury Pond RV Resort, home to the Tuxbury Tiny House Village, is about a 45-minute drive from Salem, MA. Whether you’re a lover of horror fiction or not, Stephen King is one of those infamous names linked to horrifying stories and films. 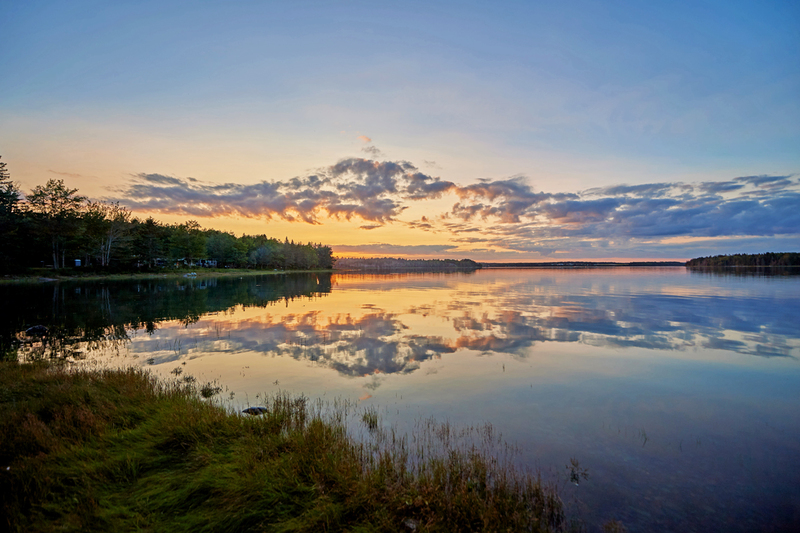 Maine is where many of King’s frightening stories take place including one of his most beloved, Pet Sematary. The 1989 movie was filmed mostly in the towns of Hancock and Bangor. In one of the scenes, King makes a cameo as a minister presiding over a funeral, and filming of this scene took place at Mount Hope Cemetery in Bangor, ME. The famous red-roofed, yellow house from the film can be seen from the street in Hancock, ME. From Mount Desert Narrows Camping Resort, Hancock, ME is about 25 minutes; and about an hour drive from Bangor, ME. 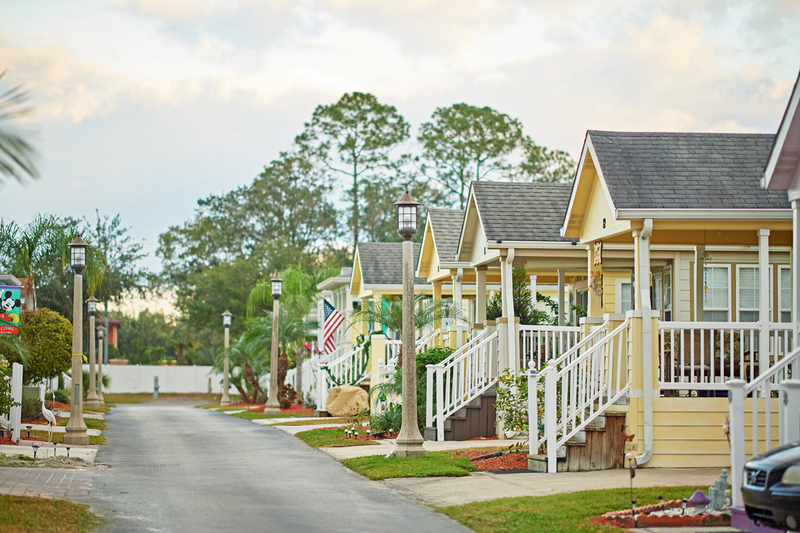 Make your reservations for your next getaway at a Petite Retreats location, today! 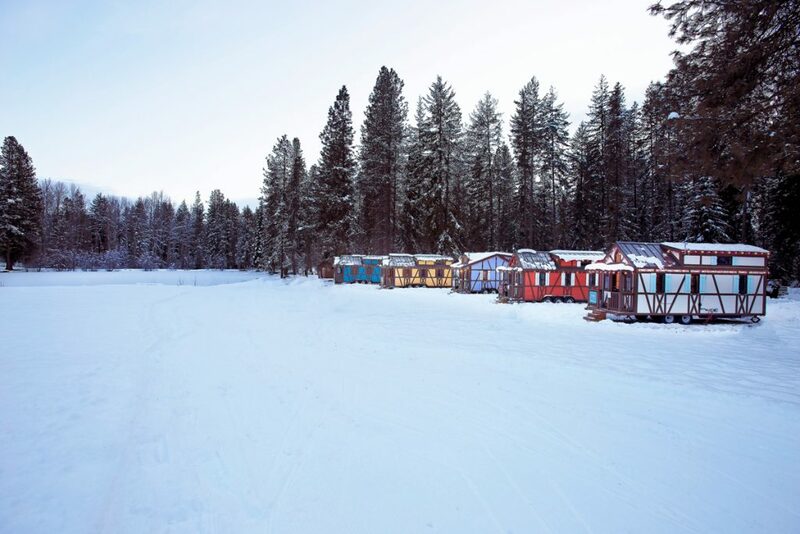 As the saying goes, “there’s no place like home,”so it would be fitting if you chose to spend a winter getaway in a yurt, which means “home” in Mongolian. Now add in some California sunshine and you’ve got a delightful mix that combines for a memorable trip. 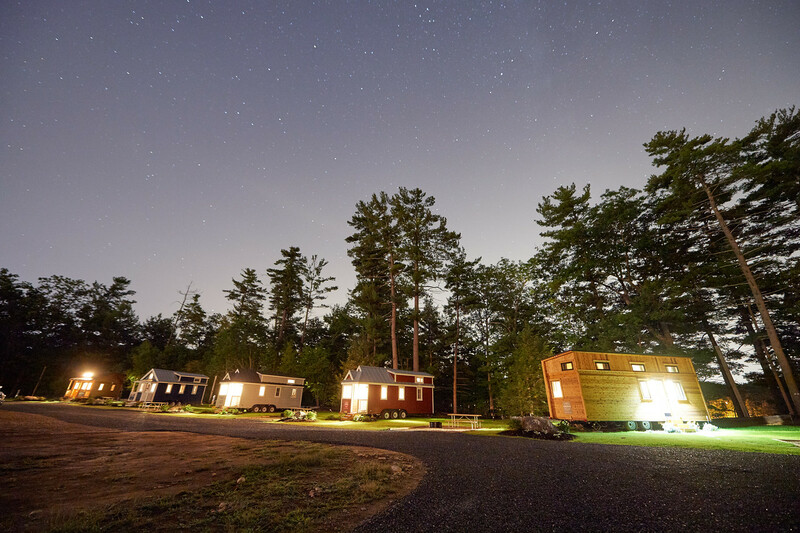 Book a stay at one of the yurts at Lake of the Springs RV Resort in Oregon House, California, and you’re on the road to a cozy, homey retreat. There’s plenty of neat things about yurt camping. First, there’s no extra gear and no set up required. 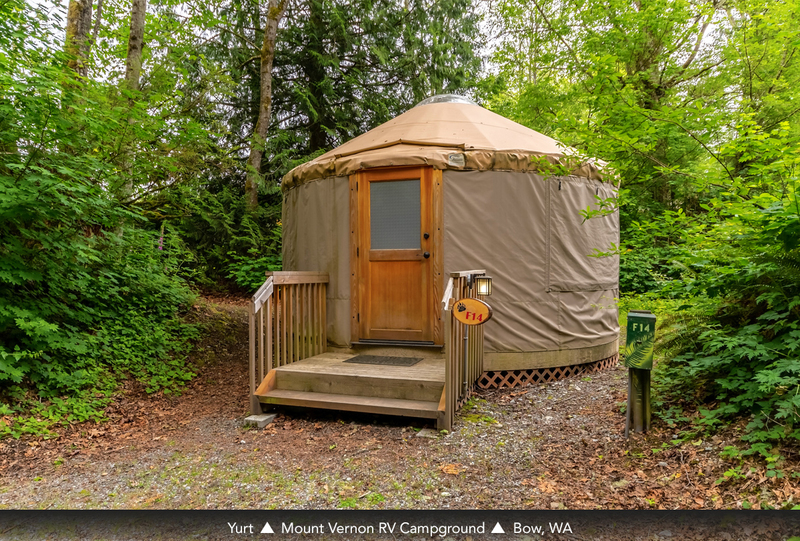 Simply open the door and explore the roomy yurt. 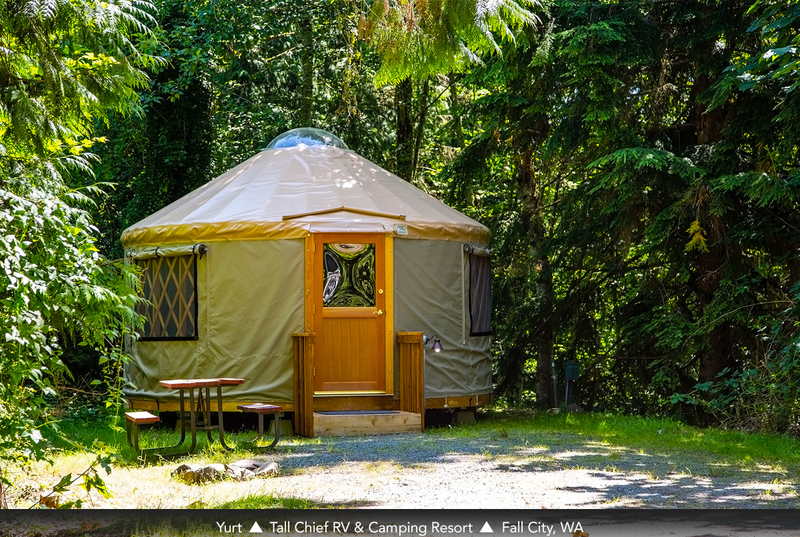 Thanks to its circular design, the yurt provides plenty of living and sleeping space. And when we say sleeping space, we don’t mean space for your typical camping bedroll, but a real bed (sometimes a bunk bed)! 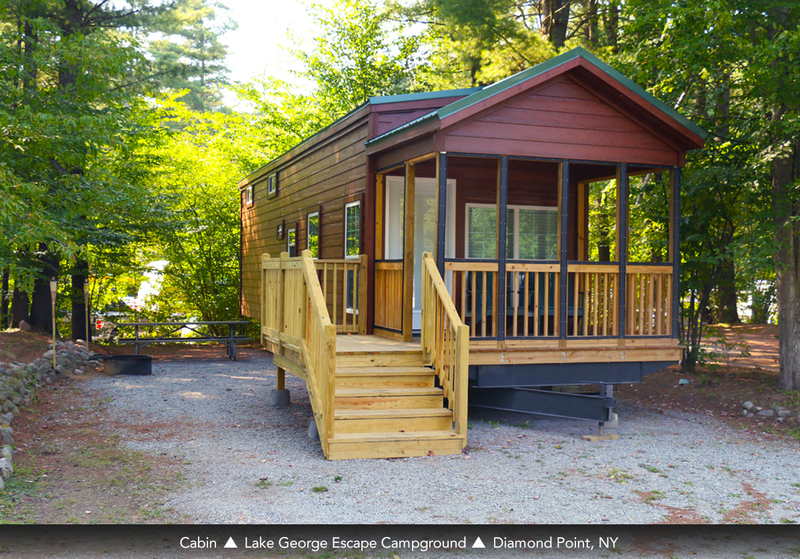 This is the true definition of glamping. 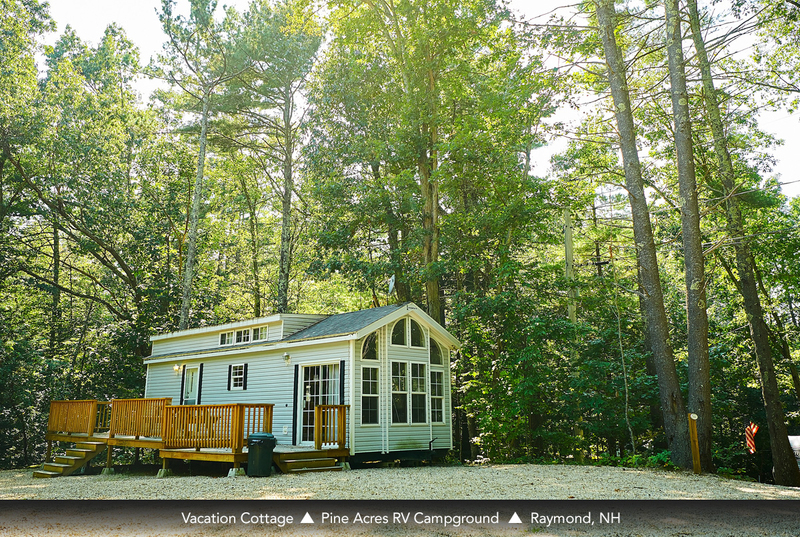 As for the living space, many yurts at our Petite Retreats locations have refrigerators, microwave ovens, kitchen tables and a furnished seating area for relaxing. 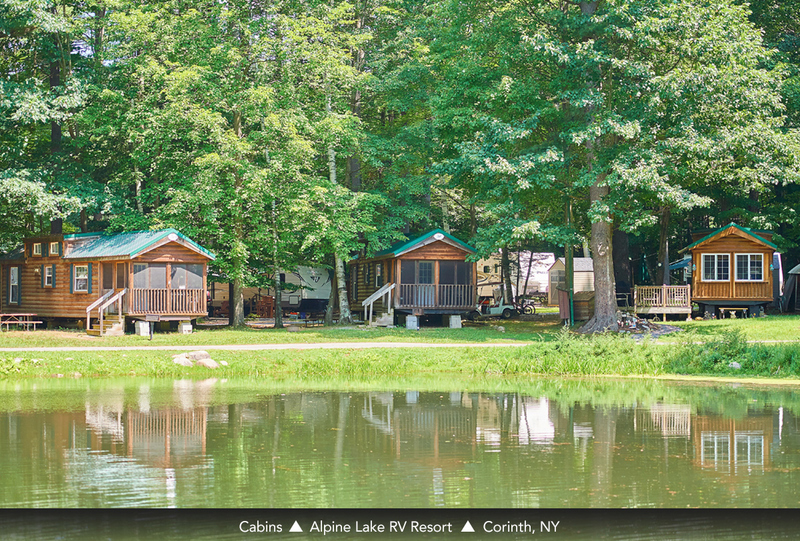 The yurts also have outside decks that provide more space for fun and activities. 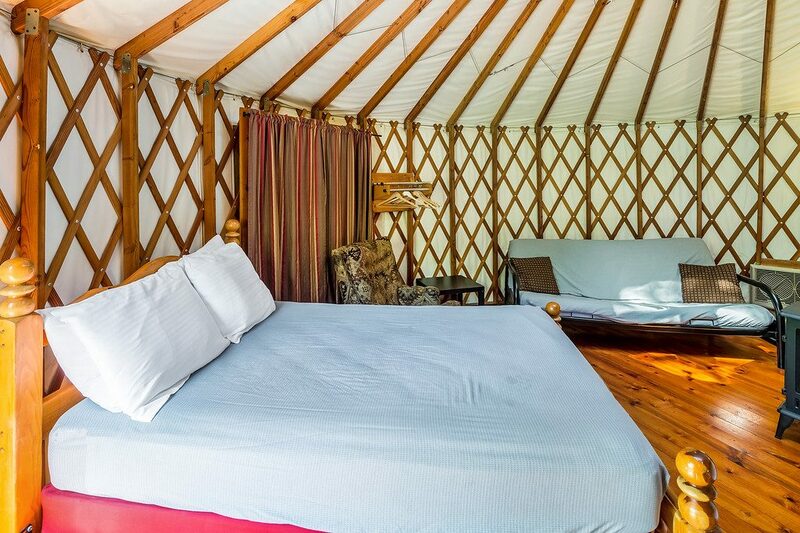 Best of all, the yurts have heat so your winter getaway will be warm and cozy, for sure! 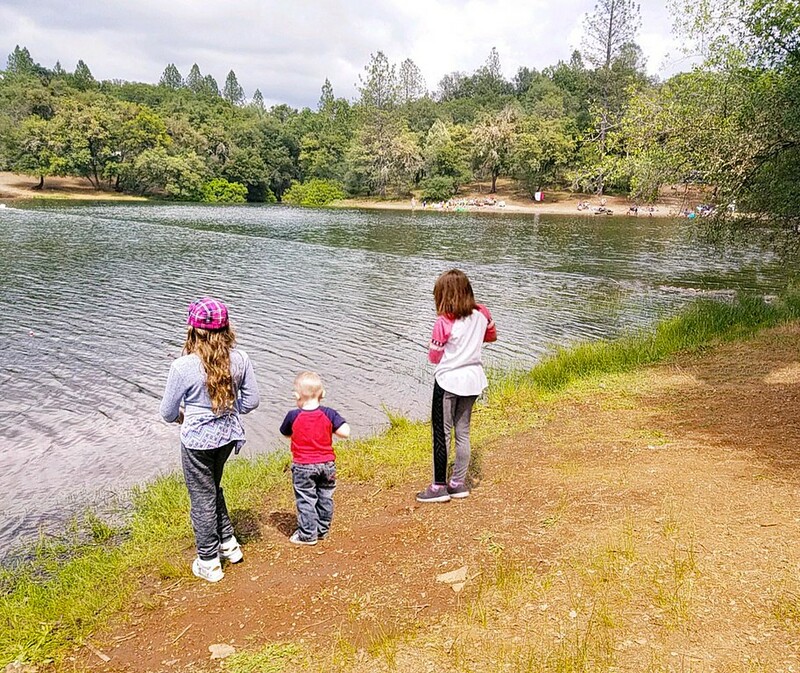 As for location, Lake of the Springs is nestled in the foothills of the Sierra Mountains and the towering pines and 120-acre lake add to the resort’s charm. The cozy lodge is the perfect spot to enjoy some social time and to enjoy the magnificent views of nature through floor to ceiling windows. 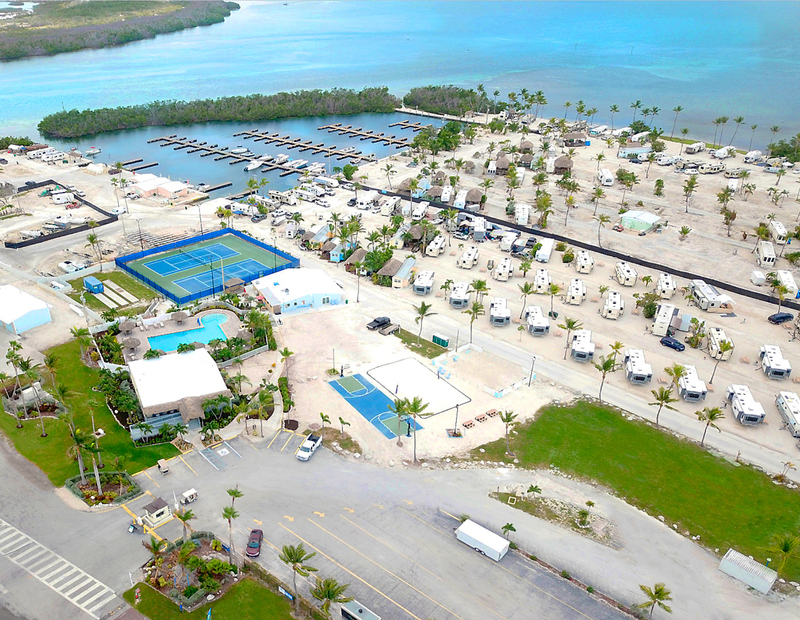 The resort has shuffleboard and horseshoes, tennis and pickleball courts, a game room with a billiards table, and other sporting options including volleyball, basketball, and mini-golf. The lake in winter can be used for canoeing, kayaking, and stand up paddling. Hiking trails round out the wonderful recreation opportunities at Lake of the Springs. For more outdoor adventure, check out the Sutter Buttes, outside nearby Yuba City. The Buttes have actual eroded lava domes, formed more than a million years ago, that rise above the area’s flat plains. They are often called the smallest mountain range in the world. You can explore the buttes via car, bicycle, or on foot with an interpretive hike. A unique destination is the Bok Kai Temple in Marysville. During the Gold Rush Days, the Chinese came to the area to work the mines and erected the first temple in 1854 on the banks of the Yuba River. The location of the temple provided the name, Bok which means north, and Kai, which means stream: Temple of the North Side of the Stream. The exterior grounds contain a garden and beautiful pagoda. It’s a must-see for architecture and history buffs. For the best of winter activities, head to Tahoe National Forest with its miles and miles of trails for cross-country skiing. Downhill skiers can hit the slopes at many nearby ski resorts including Tahoe Donner and Squaw Valley Resort, host to the 1960 Winter Olympics. Check out the Olympic Museum if you’re visiting Squaw Valley. We’ve got yurt next adventure lined up! Visit PetiteRetreats.com to book your next adventure, today! It doesn’t matter which season you visit Sedona because the magic of the desert and the Red Rocks is there year round. However, if you’re more of a cooler weather person, winter is the best time because the average temperature is around 60 degrees, which makes any outdoor activity enjoyable. Another thing you will find enjoyable in Sedona is accommodation options at Verde Valley in Cottonwood. Just as unique as the Red Rock formations that dot the Sedona desert, your accommodations at this conveniently located resort are unique as well. 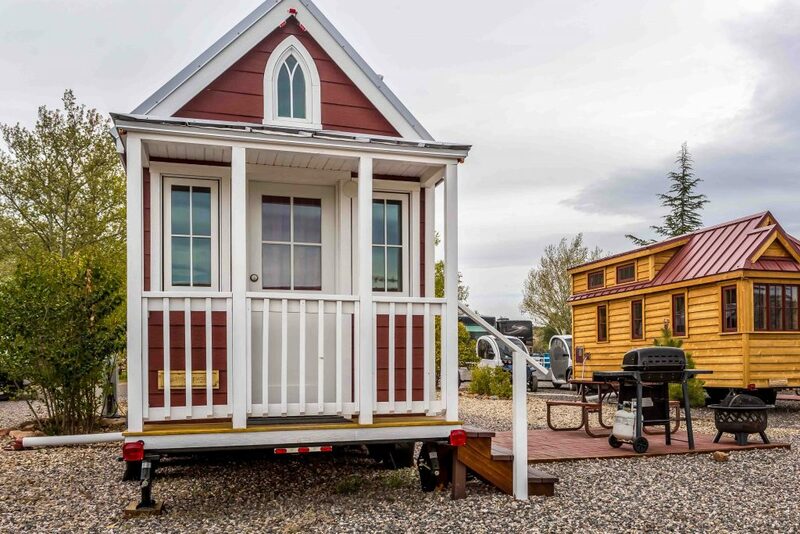 Cabins, cottages and the oh-so-trendy tiny homes are available options at Verde Valley. 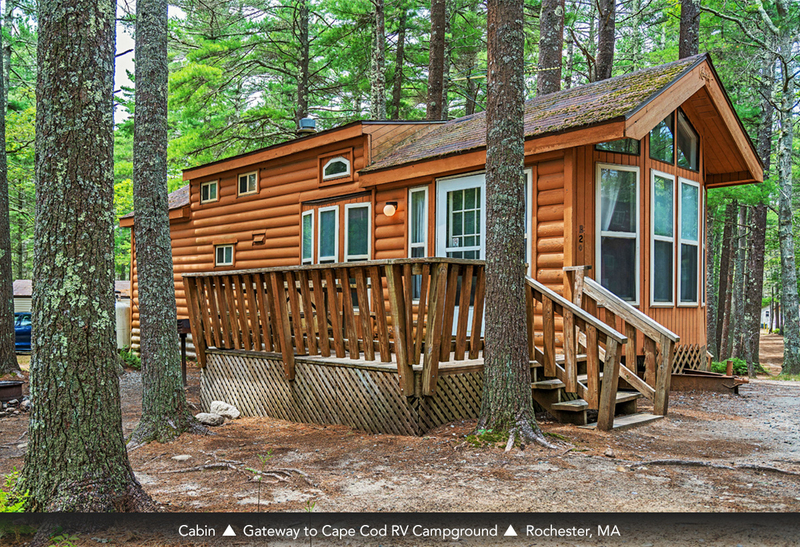 Cabins are complete with a kitchenette, flat screen TVs and covered porches while the cottages have private bedrooms, full-sized refrigerators, and flat-screens, too. You certainly wouldn’t be roughing it while taking in the beauty Sedona has to offer! 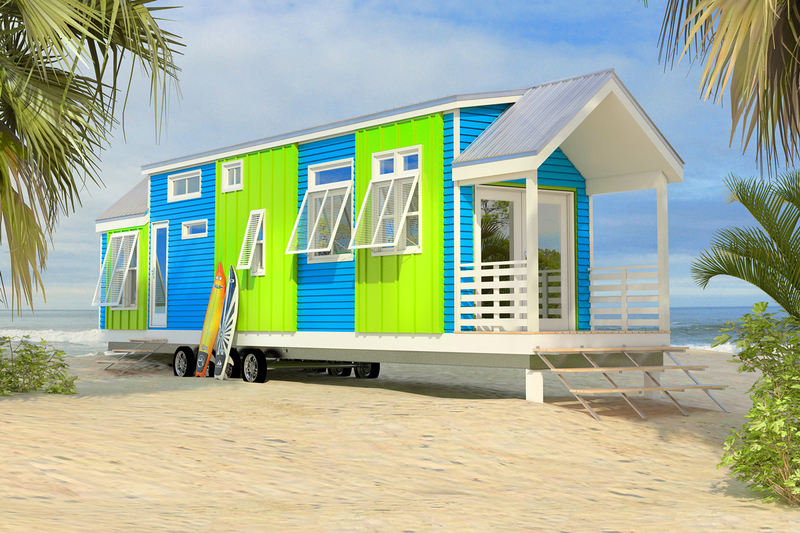 Or, opt to be a trendsetter and choose from one of two tiny houses, Finn or Rose, and enjoy big-time amenities in small-space sizes. 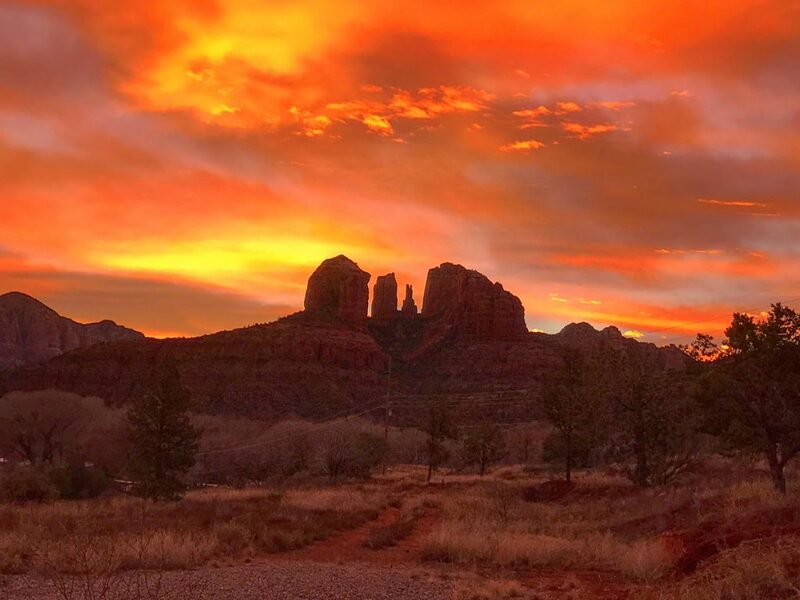 While the hospitality of the resort and the cozy charm of your choice of accommodation may find you not wanting to leave “home,” don’t miss everything that makes Sedona, and the surrounding area, so magical. Take a trip up into the mountains and explore Jerome, a charming ghost town that was once a booming mining town. Stop in at the Douglas Mansion which serves as the history museum for the town and learn all about Jerome. There’s also the Sliding Jail, an actual Jerome jail that slid 225 feet downhill due to the land shifting from so many mining shafts in the area. Jerome also has some neat restaurants, shops, and even a winery. Tuzigoot National Monument and Montezuma Castle National Monument are where you will find well-preserved dwellings used by the Sinagua people almost a thousand years ago. In 1906, Montezuma Castle was one of the first four National Monuments designated by President Theodore Roosevelt. Another interesting way to get some historical insight into this area is the Verde Valley Archaeology Center and Museum which is dedicated to preserving artifacts and archeological sites of the area. Visit verdevalleyarchaeology.org to learn more. If you’re planning to spend a chunk of your winter soaking up the culture, history and Sedona sunshine, there are two big events you’ll want to take note of. Sedona VegFest cooking demonstration; Image courtesy of Sedona VegFest. 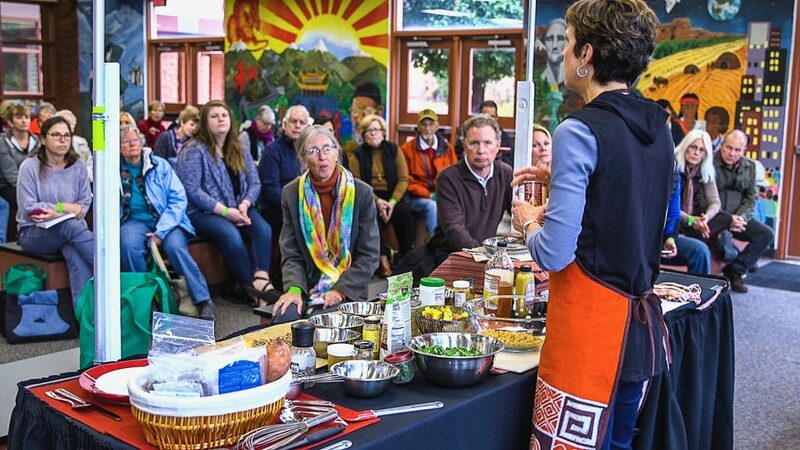 Sedona VegFest 2019 is scheduled for the weekend of January 19-20, 2019, and is a celebration of plant-based eating with exhibits, products, and speakers who are national experts in plant-based nutrition and lifestyle. For more information and to purchase tickets, visit the official Sedona VegFest page! To stay connected, visit the Sedona VegFest Facebook, Instagram, or Twitter! 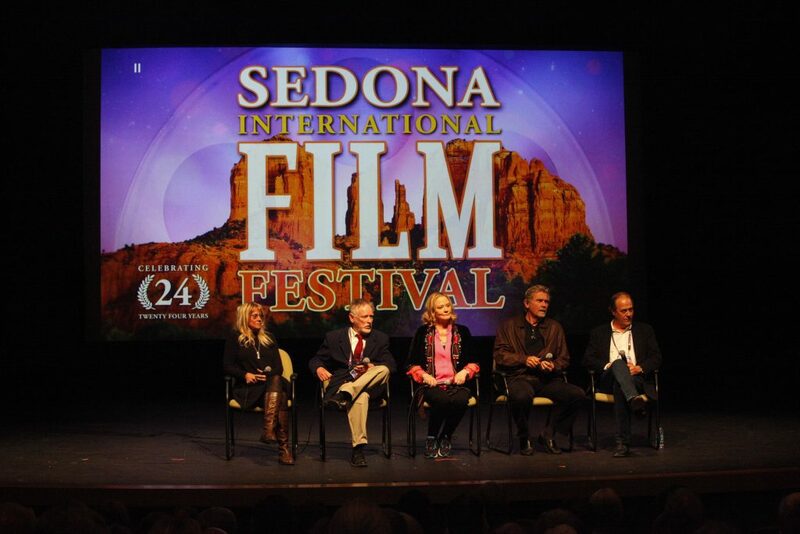 From February 23 through March 3, the Sedona International Film Festival will feature more than 160 films (from documentaries to foreign films), and host celebrities, filmmakers and movie fans alike. For information visit sedonafilmfestival.org. Don’t wait! 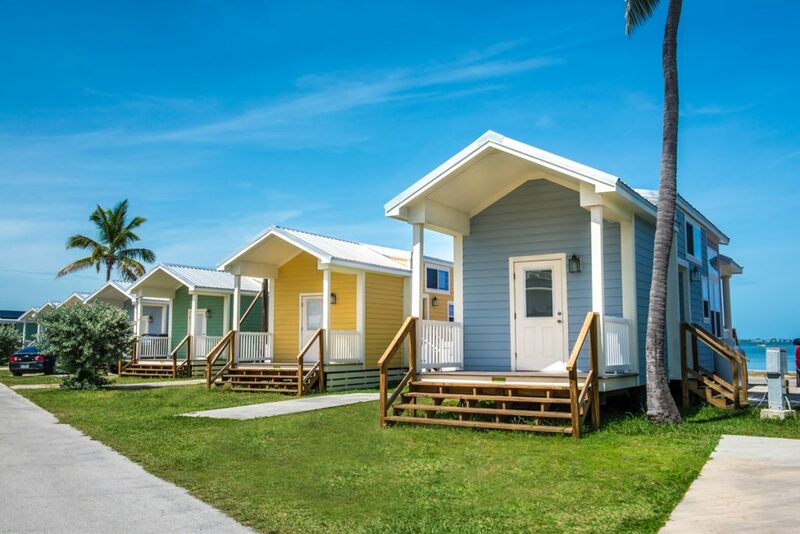 Make your reservations for your winter getaway with Petite Retreats, today!